Manu Online are a new Sage One Accounts add-on partner that provide cloud ERP solutions to the micro and small business. ERP (Enterprise Resource Planning) is typically associated with enterprise businesses way outside the reach of Sage One, but Manu Online are from a manufacturing background and understand the needs of the smaller manufacturers. The solution manages your sales, purchases, warehouse, materials planning, manufacturing and invoicing, and as your business grows the system will grow with you with a wide variety of additional specialist extensions. (The largest customers are in the £20m turnover region)! Manu Online believe that using a proper ERP will allow your company to grow. Using spreadsheets, although attractive in the short term will hinder growth. In addition, using Manu Online will help you stay legislatively compliant which is very difficult using Excel. (These are subject matters that will be very familiar to a lot of our Sage One users)! The company’s strategy from day one has been to connect to accounting software and play to their own strengths, and the touch points with Sage One are at contacts/invoice as illustrated below. 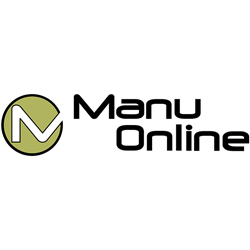 So if you’re a manufacturer using Sage One Accounts, take a closer look at Manu Online on our Add-Ons page and then sign up for a free 1 month trial with them. If you’re not already using Sage One, you can find out more and sign up for a free 30 day trial on our Sage One Accounts page.